As a fitness professional you probably have a tough time finding the time to create content. Working with clients, creating workouts, playlists, meal plans, and managing your business, and of course your personal life! But repurposing content can help get the most out of your content. The time spent on creating content is highly valuable. When you create a piece of content: video, blog post, checklist, or any resources, you could probably use an idea or two on ways to get the most out of that content. After all, the you want to make sure that content creation time is well spent. Right? I hear you! Let’s repurpose content to help you get better results. I used to be terrible at repurposing content. Once I finished a piece of content I started to focus on the next topic. Now to repurpose content better, every week I add “repurpose & reuse content” to my calendar/weekly task list, to keep me on track! I made it part of my routine. Posting a blog post once on social media is not going to reach the masses. Promoting that content by sharing it with others, reposting it and using it over again in different ways will. Repurposing content also helps to fill up that content calendar. What I didn’t really think about before I started to repurpose content regularly was that although I posted an article on my blog or post on social media channels, there were many people who had not seen that post. I was afraid of what the people, who saw the post, would think if they saw it again. Rather than focusing on the fact that I need to get my content out to the most people possible. Posting content one time was not maximizing my reach, or making the most of my content and the time it took to create it! To boot, even the people who saw the post may not have acted on it the first time. Reposting the content would likely remind them they wanted to read it the first time around, and this could even take 4 or 5 reminders…sometimes more. Repost the content a few times over the course of a month and see if you notice an increase in that content’s circulation. Sure, some might get annoyed, but if they do, they aren’t your people. That reality was a tough pill to swallow for me, I didn’t want to make people mad. But that is unavoidable. Especially online these days. But we are going to reuse AND repurpose content. Repurposing content is using the same content to create something new. Once I began to reuse and repurpose my content: 1. Reposted the content a few times and 2. Created slightly new (variation) of the content, I noticed that more people interacted. 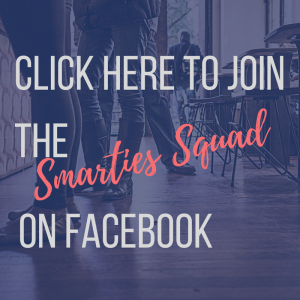 Using the same piece of content over a couple different places: like FB, Instagram, YouTube, in an email, in my monthly newsletter, on my website. Reposting this same piece of content as-is a few times in the month on all your social media platforms. Each time the copy of your post can say something a little different or even keep it the same! Creating new content from the previous content: for example, creating a social media graphic with a quote from a blog post, with a link to the blog post. Turning a video into a blog post and embedding the video in the blog post, posting it on your social media platforms. Creating a checklist from the content to create an optin/freebie that people can give you their email to get! Possibilities are endless. 1. Blog Posts: I create a quote from my blog post and share it a few times in the month I launch the blog post and then over the course of the next few months or whenever that content is relevant. 2. Blog Posts: Create a list and use that as your Post copy on social media. 4. Twitter: I have my Twitter account connected to YouTube so my videos auto post on Twitter. Twitter is not my main platform. So I autopost to it so that I have content on the platform. My Blog Posts are also setup to auto post to Twitter. I use a tool called “If This Then That” (IFTTT). Zapier can do this as well if you use Zapier. This is pure automation and allows you to not have to do anything but post on your regular platforms. You could use a social media scheduler as well. (I wouldn’t recommend this type of automation on your primary social media platforms, it’s not the “best” way to maximize your exposure, this is sort of the “easy” way to be on a platform for the sake of just having content on the non-primary platforms. It doesn’t get you the best reach or impact, but allows me to be present). 5. Pinterest: Images for my Blog Posts. Pinterest is a primary platform for me, so I like to create an image just for Pinterest and post it to my Pinterest Board for my Brand/Blog. And I repin this image a couple times a month and I use Tailwind scheduler to schedule repins. It’s a great tool with good analytics and has a Chrome Extension to easily schedule posts with Tailwind from your Chrome browser. A lot of fitness professionals, like you, are probably not using this strategy. With your busy schedules it’s such a great tool to help you get more eyes on that content that you have taken your precious time to create. Save more of your time! Do more of the things you love, and spend less time planning your social media, creating and curating content. 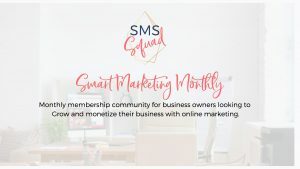 Check out our monthly done for you content over at Smart Marketing Monthly where we provide you with a monthly calendar, that you can customize or use as-is, we create monthly engagement, accountability and inspirational quotes and images as well as Facebook Covers…and more!